Today more than ever, the choice of a cosmetic dentist is a critical decision that should be made with the utmost care. So how do you choose a cosmetic dentist in Brisbane? After all, in today’s marketplace, many general dentists perform at least some types of cosmetic dental procedures. Choosing the right cosmetic dentist for you, one with substantial experience in complex cases, extensive hands-on training, and a gentle approach that compliments your needs and wants is critical to achieving the most successful outcome – your gorgeous new smile. Selecting a Brisbane Cosmetic Dentist can be a difficult and confusing process. In the end, it is a personal decision that each person must make for himself or herself. We can, however, offer some advice, which our patients have found helpful during the selection process. 1. Take Your Time. Most cosmetic dental procedures are elective procedures, not emergencies. Time spent learning about the dental procedures, different techniques and materials, and cosmetic dentists you are considering will pay great dividends in terms of your understanding and emotional comfort later. 2. Post Graduate Cosmetic Dental Training. To perform cosmetic dental procedures at the highest level; technical skill, an artistic eye, and a rigorous program of post-graduate training in cosmetic dentistry is needed. It may surprise you to learn that the dental schools don’t teach any courses in cosmetic dentistry. Therefore, it is crucial that the cosmetic dentist that you select continually completes series of hands-on courses in cosmetic dentistry. The field changes rapidly and what was state-of-the-art five or ten years ago is not anymore. In depth training is essential to learn the latest techniques and materials to get optimal results. Find a cosmetic dentist who is honest in his/her assessment of your needs and of their ability to meet your expectations. 3. A Caring Approach & Great Communication. Find a doctor with a good chairside manner who conveys to you that they care about you as a person as well as a client. 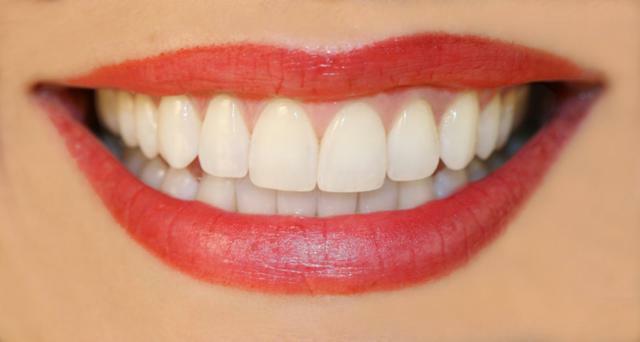 Cosmetic dentistry is a process not a single operation. Find someone with whom you can talk easily. It is just as important that he/she understands what you desire as that you understand what they are describing. To accomplish these goals, the first thing the cosmetic dentist should do is listen and make sure he or she understands all your concerns, needs and desires as they relate to your dental health and the look of your smile. Only then should they spend time diagnosing and consulting on the recommended treatment plan, which should be individualised for each client. Find a cosmetic dentist who is accurate in his/her evaluation of your needs, precise in the execution of their operative plan, and meticulous in their craftsmanship. Although perfection is in the eye of the beholder, this doctor will do whatever it takes to do the best job possible without cutting corners, not only to satisfy you, but also to meet their own personal standards of excellence. Make sure the dentist addresses not just the teeth but also gums, lips, facial structure and your specific requests. 4. An Artistic Eye. While technical virtuosity is necessary to produce a great clinical result, it is not sufficient. Excellent cosmetic dentistry demands a highly sophisticated artistic sense. In order to achieve an optimal aesthetic result, one must have a clear vision of what is artistically possible and appropriate. 5. Extensive Smile Design Experience. Before you randomly select a dentist out of the phone book or rely on your long-time family dentist to give you the smile design of your dreams, think again. Great cosmetic dentistry is an art. Therefore, choose a dentist that has extensive experience in this area. 6. Make Sure You Review Before and After Photos of Work Performed by the Cosmetic Dentist. You’ll want to look at before and after photos of cosmetic dentistry that has actually been performed by the dentist that you are considering. Make sure that the before photos you look at are also cases similar to yours. 7. Comfort There are many modern improvements to dental treatment that allow the dentist to tailor –make visits to your comfort level. Ask the dentist what modern technology does he have available to make your dental experience anxiety-free and pain-free.